Britons gearing up for a ski holiday in Colorado will be pleased to hear about plans to boost facilities in the state's resorts. 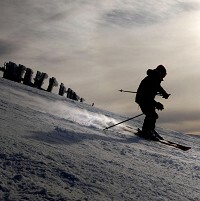 Trade association Colorado Ski Country USA said that a number of new chairlifts are being built at resorts across the state alongside a host of other improvements. The association said the 22 resorts it covers are going to spend 50 million dollars on improvements for the upcoming season - news which will whet the appetite of UK skiers with holidays booked in the state. However before jetting off to the slopes and trying out the new facilities, people are advised to arrange a sports travel insurance policy first. The cash pot will also see improvements made to the slopes as well as the addition of grooming machines. A resort company which isn't covered by the trade association is also spending millions of dollars on improvements. Vail Resorts operates Vail Mountain, Beaver Creek, Breckenridge and Keystone. It says it is spending 90 million dollars on improving its resorts across the US.